In case you missed it, a sports movie won this year’s Oscar for best documentary. 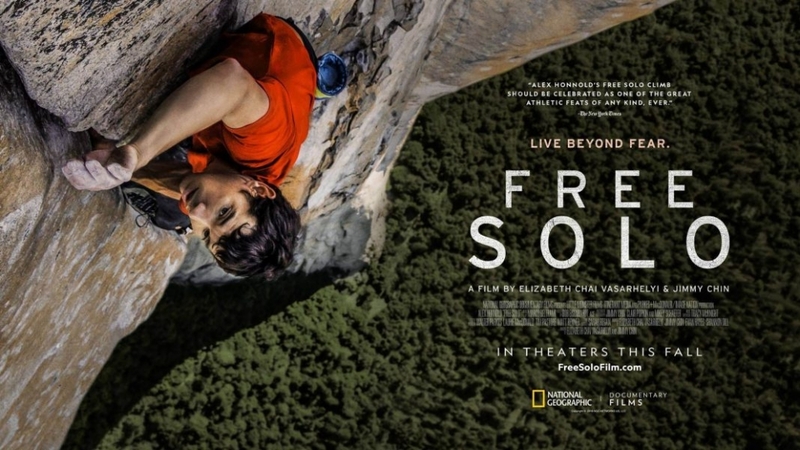 The film Free Solo explores Alex Honnold attempt to climb a 3,000 foot of rock face in Yosemite without the assistance of any ropes. Just the thought of that makes my heart start beating a little faster. I’m not scared of heights, but you can’t help but watch the film and think about what would happen if he made just one tiny mistake. » Related content: We summarize some more lessons on achieving impossible goals from another recent climbing documentary, the Dawn Wall. As you can imagine, it takes a certain type of person to accomplish this feat. Physically they need to be very strong, as Vern wrote about last month. But mentally they have to be even stronger. You could be the strongest athlete at your local climbing gym, but that doesn’t mean anything if you cannot get over fear high up on the mountain. If you look at fear outside of the sporting context, this approach to fear is hardly new. Exposure therapy uses the same concepts to help patients with different types of anxiety and is the most effective known treatment for phobias. The approach is similar: you work to expand the patient’s comfort zone by gradually increasing their exposure to what they fear. A patient with arachnophobia might start off by visualizing spiders, then looking at pictures of spiders, then being in the same room as spiders, and so on. Rather than simply throwing spiders at them from the first day, they take it one step at a time. Also important is that danger is removed. Patients are exposed toe the source of anxiety without intention to cause any danger. In the end, he had no reason to be afraid. Even the most difficult sections he had completed error free a dozen times. He simply had to string it all together over the course of a few hours. It might sound easier said than done, but he truly wasn’t afraid in the end. During the film they showed a study of Honnold’s brain. It was interesting to see his amygdala didn’t react the way most people’s do. The amygdala is the the brain’s threat response and interpretation system and it showed virtually no activity when presented with different stimulus. One could interpret this to mean that his brain is built differently. But Honnold would likely argue that he has trained his brain this way. His comfort zone now includes almost everything. The longer you watch the film, you notice that we might all be framing the whole discussion of fear in the wrong way. We always think of fear as a performance inhibitor, but maybe we need to think about living beyond fear is a performance enhancer. In speaking with veteran climber Peter Croft in the film, Honnold reminisces about how his skills dial in once the ropes come away. Ropes helped him expand his comfort zone, but he only achieved his best without them. This all begs the question about what the ropes are in our own challenges. What can you do in your sport to expand your comfort zone. And then how can you strip away the ropes to reveal a new level of performance? This can be a successful strategy in dealing with competition anxiety and any other number of challenges elite athletes face. There is no quick fix to truly improve performance; it all starts with analyzing the situation and working slowly towards the solution.